Juliana is about to get a dream bedroom makeover and a renovated wheelchair accessible bathroom from Sunshine on a Ranney Day and we couldn’t be more excited! 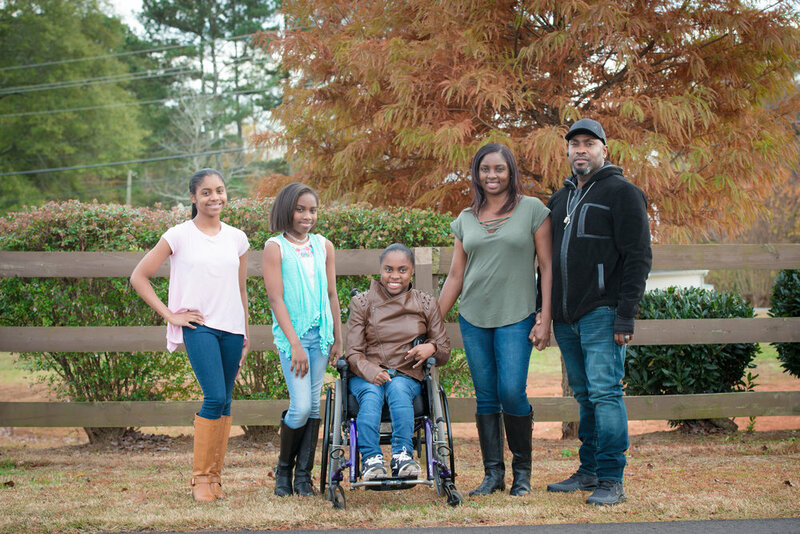 This lively teenager is a miracle who has never allowed her disability to limit her from enjoying life. Juliana was born at 24 weeks weighing 1lb 6oz. She survived on prolonged ventilator therapy and IV antibiotics for 5 months. During her stay at the NICU she experienced numerous infections, a surgery for necrotizing enteric colitis, holosystolic murmur, patent ductus atreiosus and neonatal hypothyroidism. This jovial warrior fought hard and survived all of these treacherous tribulations. Later, she was diagnosed with Cerebral Palsy, sensorineural hearing loss in the right ear and retinopathy of prematurity. She has endured numerous surgeries including eye surgery and leg lengthening surgery. She has been in physical and occupational therapy for fifteen years and continues to focus on her functional targets. She works diligently towards becoming independent. She uses a walker in school and a wheelchair for long distances. She has recently begun to ambulate more independently by holding on to furniture and walking. This is a cherished sight in her home! Juliana enjoys therapeutic horseback riding, buddy baseball and summer camp. She has a radiant smile that illuminates the world around her. It was this amazing smile that landed her the role of being an extra in the movie Mother’s Day and also was in the video for TV Teacher together with her sisters. As any typical teenager, Juliana fights with her sisters over the TV remote, loves technology and spends her time listening to music and watching videos on You-Tube. She also loves using apps on her iPhone and tablet. This dream makeover will gave her a relaxing and revitalizing space of her own where she can enjoy her favorite past times and thrive toward adulthood.